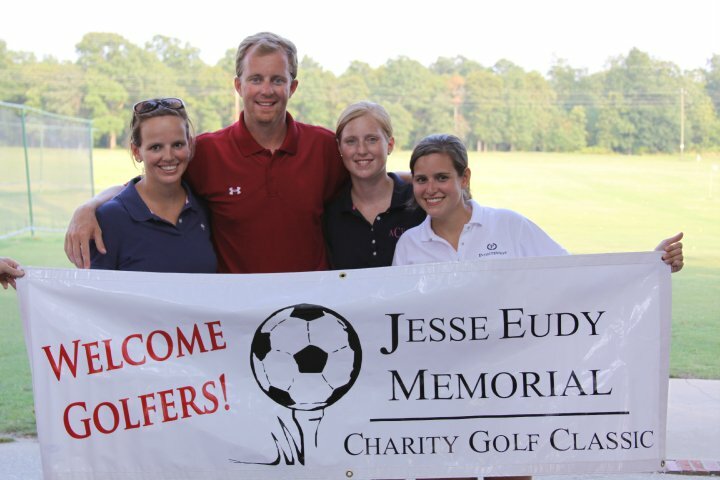 Congaree Rapid FC will host the 10th Annual Jesse Eudy Memorial Charity Golf Classic on Friday, November 16, 2018 (12:00 p.m.) at Cobblestone Park in Blythewood, SC. Mr. Jesse Eudy was a former CRFC president and instrumental in the growth of youth soccer in the Midlands. CRFC established a scholarship fund in 2009 to honor the memory of Mr. Eudy. More than $50,000 has been raised in Jesse's honor to assist more than 400 players to participate in youth soccer! All proceeds will be distributed to these organizations selected by the Eudy family. Jesse Eudy Memorial Scholarship Fund, The Christopher Conner Foundation, and Camp Kemo. Congaree Rapid FC is hosting the 10th Annual Jesse Eudy Memorial Charity Golf Classic November 16, 2018 at Cobblestone Park Golf Club. Congaree Rapid FC (CRFC) exists to provide classic league soccer for the Cayce-West Columbia and Downtown Columbia soccer communities. The club operates as a non-profit 501(c)(3) eleemosynary organization (Federal ID# - 57-0977722). Our mission is to serve the youth of our community and it is our intent that no child be prohibited from playing competitive soccer for financial reasons. Jesse Eudy was a former president of CRFC and instrumental in the growth of youth soccer in the Midlands. CRFC has set up the Jesse Eudy Memorial Scholarship Fund to honor the memory of Mr. Eudy and to make sure that financial restrictions do not hinder any child from experiencing the game of soccer and all the life lessons learned from this game. Money raised from the golf tournament will be distributed to the Jesse Eudy Memorial Scholarship Fund, Camp Kemo, and the Christopher Conner Foundation. We invite you and your company to join us as a sponsor for this event. By being a sponsor in this event, you will be promoting your company to a group of people who are very loyal to its sponsors, as well as to the many area professionals who will be participating at the outing itself. We are anticipating a highly successful and well-attended outing. Our 2017 outing hosted 90 golfers and 20+ volunteers and spectators. Show CRFC, Jesse Eudy Memorial Scholarship Fund, Camp Kemo, and the Christopher Conner Foundation friends, neighbors and colleagues your company's commitment to helping our youth and become a sponsor! We thank you in advance for your support for this cause that is so dear to our hearts!